A compilation of drawings and applications are prepared ready to be sent off to planning. Plus for the client (you) a digital copy of all the documents/and drawings can be emailed. Average turnover period 1 week for drawings and design depending on size of project. Then i can only go as fast as planning authorities allow - faster processing can be negotiated. Consultation on proposed design so that it complies with planning regulations to ensure compliance before building drawings created if we have not done the planning application, if we have it can be applied for as soon as planning approved or desired. A package of drawings is prepared ready to be accessed by LABC ensuring priority building control applications. Average turnover period is the same week that we get authorization from LA planning dept or 2 weeks for drawings and calculations depending on size of project. Then either building notice is applied for if residential extension so work can commence days after submission or if commercial many other requirements can be gained from my specialists and submission for building control about 4 weeks usually LABC authorities approve quicker. McGarrys Design has the knowledge and expertise to design, seek planning and follow through to building regulation approval single storey extensions for kitchen, lounges and bathrooms McGarrys Design can offer full product support for this service being capable of gaining all required information to achieve what’s desired for creating larger kitchen/dinning areas along with the extension with the aid of the services listedArchitectural Design services covering Architects in Architects Plans in, Building Plans in, North West, Lancashire, Manchester, Preston, Blackburn, Wigan, Chorley, Bolton, Salford, Warrington Architects Lancashire, Leyland, Bamber Bridge, Adlington, Standish, Horwich, Darwen, Hyndburn, Accrington, Leigh, Westhoughton, Lancashire, Greater Manchester, Cheshire, Fylde Coast regions Southport, Westhoughton, Atherton, Building Plans in Worsley, Building Plans in Walkden, Architect in Manchester, Architect in Bolton, Architect in Wigan, Architect in Preston, Architect in Southport, Architect in Leigh, Building Plans in Wigan, Building Plans in Bolton and more. Find out how we can help you with home extension plans, loft conversions, internal alterations, new builds, conversions, building plans, planning permission applications or building regulation applications. Architectural Design services covering Architects in Architects Plans in, Building Plans in, North West, Lancashire, Manchester, Preston, Blackburn, Wigan, Chorley, Bolton, Salford, Warrington, Leyland, Bamber Bridge, Adlington, Standish, Horwich, Darwen, Hyndburn, Accrington, Leigh, Westhoughton, Lancashire, Greater Manchester, Cheshire, Fylde Coast regions Southport, Westhoughton, Atherton, Building Plans in Worsley, Building Plans in Walkden, Architect in Manchester, Architect in Bolton, Architect in Wigan, Architect in Preston, Architect in Southport, Architect in Leigh, Building Plans in Wigan, Building Plans in Bolton and more. Find out g regulation applications. Architects Lancashire, Architects Lancashire, Architects Lancashire, Architects Lancashire, Architects Lancashire, Architects Lancashire, Architects Lancashire Architects Lancashire Architects Lancashire Architects Lancashire Architects Lancashire Architects Lancashire Architects Lancashire Architects Lancashire Architects Lancashire Architects Lancashire Architects Lancashire Architects Lancashire Architects Lancashire Architects Lancashire Architects Lancashire Architects Lancashire Architects Lancashire Architects Lancashire Architects Lancashire Architects Lancashire Architects Lancashire Architects Lancashire Architects Lancashire Architects Lancashire Architects Lancashire, Architects Lancashire, Architects Lancashire, Architects Lancashire, Architects Lancashire, Architects Lancashire, Architects Lancashire Architects Lancashire Architects Lancashire Architects Lancashire Architects Lancashire Architects Lancashire Architects Lancashire Architects Lancashire Architects Lancashire Architects Lancashire Architects Lancashire Architects Lancashire Architects Lancashire Architects Lancashire Architects Lancashire Architects Lancashire Architects Lancashire Architects Lancashire Architects Lancashire Architects Lancashire Architects Lancashire Architects Lancashire Architects Lancashire Architects Lancashire Architectural Design services covering Architects in Architects Plans in, Building Plans in, North West, Lancashire, Manchester, Preston, Blackburn, Wigan, Chorley, Bolton, Salford, Warrington, Leyland, Bamber Bridge, Adlington, Standish, Horwich, Darwen, Hyndburn, Accrington, Leigh, Westhoughton, Lancashire, Greater Manchester, Cheshire, Fylde Coast regions Southport, Westhoughton, Atherton, Building Plans in Worsley, Building Plans in Walkden, Architect in Manchester, Architect in Bolton, Architect in Wigan, Architect in Preston, Architect in Southport, Architect in Leigh, Building Plans in Wigan, Building Plans in Bolton and more. Find out how we can help you with home extension plans, loft conversions, internal alterations, new builds, conversions, building plans, planning permission applications or building regulation applications. Architectural Design services coverArchitects Lancashire, Architects Lancashire, Architects Lancashire, Architects Lancashire, Architects Lancashire, Architects Lancashire, Architects Lancashire Architects Lancashire Architects Lancashire Architects Lancashire Architects Lancashire Architects Lancashire Architects Lancashire Architects Lancashire Architects Lancashire Architects Lancashire Architects Lancashire Architects Lancashire Architects Lancashire Architects Lancashire Architects Lancashire Architects Lancashire Architects Lancashire Architects Lancashire Architects Lancashire Architects Lancashire Architects Lancashire Architects Lancashire Architects Lancashire ing Architects in Architects Plans in, Building Plans in, North West, Lancashire, Manchester, Preston, Blackburn, Wigan, Chorley, Bolton, Salford, Warrington, Leyland, Bamber Bridge, Adlington, Standish, Horwich, Darwen, Hyndburn, Accrington, Leigh, Westhoughton, Lancashire, Greater Manchester, Cheshire, Fylde Coast regions Southport, Westhoughton, Atherton, Building Plans in Worsley, Building Plans in Walkden, Architect in Manchester, Architect in Bolton, Architect in Wigan, Architect in Preston, Architect in Southport, Architect in Leigh, Building Plans in Wigan, Building Plans in Bolton and more. 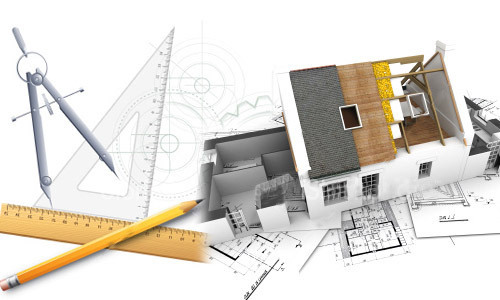 Find out how we can help you with home extension plans, loft conversions, internal alterations, new builds, conversions, building plans, planning permission applications or building regulation applications.Architects Lancashire, Architects Lancashire, Architects Lancashire, Architects Lancashire, Architects Lancashire, Architects Lancashire, Architects Lancashire Architects Lancashire Architects Lancashire Architects Lancashire Architects Lancashire Architects Lancashire Architects Lancashire Architects Lancashire Architects Lancashire Architects Lancashire Architects Lancashire Architects Lancashire Architects Lancashire Architects Lancashire Architects Lancashire Architects Lancashire Architects Lancashire Architects Lancashire Architects Lancashire Architects Lancashire Architects Lancashire Architects Lancashire Architects Lancashire Architects Lancashire Architectural Design services covering Architects in Architects Plans in, Building Plans in, North West, Lancashire, Manchester, Preston, Blackburn, Wigan, Chorley, Bolton, Salford, Warrington, Leyland, Bamber Bridge, Adlington, Standish, Horwich, Darwen, Hyndburn, Accrington, Leigh, Westhoughton, Lancashire, Greater Manchester, Cheshire, Fylde Coast regions Southport, Westhoughton, Atherton, Building Plans in Worsley, Building Plans in Walkden, Architect in Manchester, Architect in Bolton, Architect in Wigan, Architect in Preston, Architect in Southport, Architect in Leigh, Building Plans in Wigan, Building Plans in Bolton and more. Find out how we can help you with home extension plans, loft conversions, internal alterations, new builds, conversions, building plans, planning permission applications or building regulation applications.Architects Lancashire, Architects Lancashire, Architects Lancashire, Architects Lancashire, Architects Lancashire, Architects Lancashire, Architects Lancashire Architects Lancashire Architects Lancashire Architects Lancashire Architects Lancashire Architects Lancashire Architects Lancashire Architects Lancashire Architects Lancashire Architects Lancashire Architects Lancashire Architects Lancashire Architects Lancashire Architects Lancashire Architects Lancashire Architects Lancashire Architects Lancashire Architects Lancashire Architects Lancashire Architects Lancashire Architects Lancashire Architects Lancashire Architects Lancashire Architects Lancashire Architectural Design services covering Architects in Architects Plans in, Building Plans in, North West, Lancashire, Manchester, Preston, Blackburn, Wigan, Chorley, Bolton, Salford, Warrington, Leyland, Bamber Bridge, Adlington, Standish, Horwich, Darwen, Hyndburn, Accrington, Leigh, Westhoughton, Lancashire, Greater Manchester, Cheshire, Fylde Coast regions Southport, Westhoughton, Atherton, Building Plans in Worsley, Building Plans in Walkden, Architect in Manchester, Architect in Bolton, Architect in Wigan, Architect in Preston, Architect in Southport, Architect in Leigh, Building Plans in Wigan, Building Plans in Bolton and more. 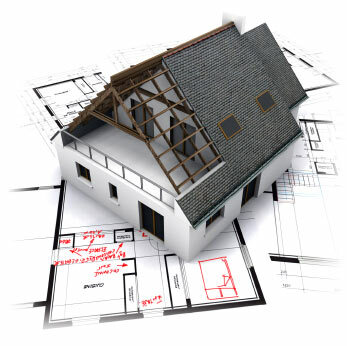 Find out how we can help you with home extension plans, loft conversions, internal alterations, new builds, conversions, building plans, planning permission applications or building regulation applications.Architects Lancashire, Architects Lancashire, Architects Lancashire, Architects Lancashire, Architects Lancashire, Architects Lancashire, Architects Lancashire Architects Lancashire Architects Lancashire Architects Lancashire Architects Lancashire Architects Lancashire Architects Lancashire Architects Lancashire Architects Lancashire Architects Lancashire Architects Lancashire Architects Lancashire Architects Lancashire Architects Lancashire Architects Lancashire Architects Lancashire Architects Lancashire Architects Lancashire Architects Lancashire Architects Lancashire Architects Lancashire Architects Lancashire Architects Lancashire Architects Lancashire Architectural Design services covering Architects in Architects Plans in, Building Plans in, North West, Lancashire, Manchester, Preston, Blackburn, Wigan, Chorley, Bolton, Salford, Warrington, Leyland, Bamber Bridge, Adlington, Standish, Horwich, Darwen, Hyndburn, Accrington, Leigh, Westhoughton, Lancashire, Greater Manchester, Cheshire, Fylde Coast regions Southport, Westhoughton, Atherton, Building Plans in Worsley, Building Plans in Walkden, Architect in Manchester, Architect in Bolton, Architect in Wigan, Architect in Preston, Architect in Southport, Architect in Leigh, Building Plans in Wigan, Building Plans in Bolton and Architects Lancashire, Architects Lancashire, Architects Lancashire, Architects Lancashire, Architects Lancashire, Architects Lancashire, Architects Lancashire Architects Lancashire Architects Lancashire Architects Lancashire Architects Lancashire Architects Lancashire Architects Lancashire Architects Lancashire Architects Lancashire Architects Lancashire Architects Lancashire Architects Lancashire Architects Lancashire Architects Lancashire Architects Lancashire Architects Lancashire Architects Lancashire Architects Lancashire Architects Lancashire Architects Lancashire Architects Lancashire Architects Lancashire Architects Lancashire Architects Lancashire more. 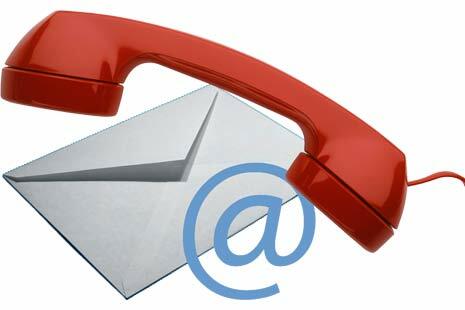 Find out how we can help you with home extension plans, loft conversions, internal alterations, new builds, conversions, building plans, planning permission applications or building regulation applicationsitects Lancashire, Architects Lancashire, Architects Lancashire, Architects Lancashire, Architects Lancashire, Architects Lancashire, Architects Lancashire Architects Lancashire Architects Lancashire Architects Lancashire Architects Lancashire Architects Lancashire Architects Lancashire Architects Lancashire Architects Lancashire Architects Lancashire Architects Lancashire Architects Lancashire Architects Lancashire Architects Lancashire Architects Lancashire Architects Lancashire Architects Lancashire Architects Lancashire Architects Lancashire Architects Lancashire Architects Lancashire Architects Lancashire Architects Lancashire Architects Lancashire Architectural Design services covering Architects in Architects Plans in, Building Plans in, North West, Lancashire, Manchester, Preston, Blackburn, Wigan, Chorley, Bolton, Salford, Warrington, Leyland, Bamber Bridge, Adlington, Standish, Horwich, Darwen, Hyndburn, Accrington, Leigh, Westhoughton, Lancashire, Greater Manchester, Cheshire, Fylde Coast regions Southport, Westhoughton, Atherton, Building Plans in Worsley, Building Plans in Walkden, Architect in Manchester, Architect in Bolton, Architect in Wigan, Architect in Preston, Architect in Southport, Architect in Leigh, Building Plans in Wigan, Building Plans in Bolton and more. Find out how we can help you with home extension plans, loft conversions, internal alterations, new builds, conversions, building plans, planning permission applications or building regulation applications. McGarrys Design has the expertise and capability to design double storey extensions, having the available service of structural engineer to assist with the design of beams, supports, columns and foundations. After visiting a number of people who initially enquired about single storey extensions but actually discovering they need double storey this has been of great advantage to many of my clientele and many have been done over the years so the initial consultation and contact for this is very strongly advisedchitectural Design services covering Architects in Architects Plans in, Building Plans in, North West, Lancashire, Manchester, Preston, Blackburn, Wigan, Chorley, Bolton, Salford, Warrington Architects Lancashire, Leyland, Bamber Bridge, Adlington, Standish, Horwich, Darwen, Hyndburn, Accrington, Leigh, Westhoughton, Lancashire, Greater Manchester, Cheshire, Fylde Coast regions Southport, Westhoughton, Atherton, Building Plans in Worsley, Building Plans in Walkden, Architect in Manchester, Architect in Bolton, Architect in Wigan, Architect in Preston, Architect in Southport, Architect in Leigh, Building Plans in Wigan, Building Plans in Bolton and more. Find out how we can help you with home extension plans, loft conversions, internal alterations, new builds, conversions, building plans, planning permission applications or building regulation applications. Architectural Design services covering Architects in Architects Plans in, Building Plans in, North West, Lancashire, Manchester, Preston, Blackburn, Wigan, Chorley, Bolton, Salford, Warrington, Leyland, Bamber Bridge, Adlington, Standish, Horwich, Darwen, Hyndburn, Accrington, Leigh, Westhoughton, Lancashire, Greater Manchester, Cheshire, Fylde Coast regions Southport, Westhoughton, Atherton, Building Plans in Worsley, Building Plans in Walkden, Architect in Manchester, Architect in Bolton, Architect in Wigan, Architect in Preston, Architect in Southport, Architect in Leigh, Building Plans in Wigan, Building Plans in Bolton and more. Find out g regulation applications. Architects Lancashire, Architects Lancashire, Architects Lancashire, Architects Lancashire, Architects Lancashire, Architects Lancashire, Architects Lancashire Architects Lancashire Architects Lancashire Architects Lancashire Architects Lancashire Architects Lancashire Architects Lancashire Architects Lancashire Architects Lancashire Architects Lancashire Architects Lancashire Architects Lancashire Architects Lancashire Architects Lancashire Architects Lancashire Architects Lancashire Architects Lancashire Architects Lancashire Architects Lancashire Architects Lancashire Architects Lancashire Architects Lancashire Architects Lancashire Architects Lancashire Architects Lancashire, Architects Lancashire, Architects Lancashire, Architects Lancashire, Architects Lancashire, Architects Lancashire, Architects Lancashire Architects Lancashire Architects Lancashire Architects Lancashire Architects Lancashire Architects Lancashire Architects Lancashire Architects Lancashire Architects Lancashire Architects Lancashire Architects Lancashire Architects Lancashire Architects Lancashire Architects Lancashire Architects Lancashire Architects Lancashire Architects Lancashire Architects Lancashire Architects Lancashire Architects Lancashire Architects Lancashire Architects Lancashire Architects Lancashire Architects Lancashire Architectural Design services covering Architects in Architects Plans in, Building Plans in, North West, Lancashire, Manchester, Preston, Blackburn, Wigan, Chorley, Bolton, Salford, Warrington, Leyland, Bamber Bridge, Adlington, Standish, Horwich, Darwen, Hyndburn, Accrington, Leigh, Westhoughton, Lancashire, Greater Manchester, Cheshire, Fylde Coast regions Southport, Westhoughton, Atherton, Building Plans in Worsley, Building Plans in Walkden, Architect in Manchester, Architect in Bolton, Architect in Wigan, Architect in Preston, Architect in Southport, Architect in Leigh, Building Plans in Wigan, Building Plans in Bolton and more. Find out how we can help you with home extension plans, loft conversions, internal alterations, new builds, conversions, building plans, planning permission applications or building regulation applications. Architectural Design services coverArchitects Lancashire, Architects Lancashire, Architects Lancashire, Architects Lancashire, Architects Lancashire, Architects Lancashire, Architects Lancashire Architects Lancashire Architects Lancashire Architects Lancashire Architects Lancashire Architects Lancashire Architects Lancashire Architects Lancashire Architects Lancashire Architects Lancashire Architects Lancashire Architects Lancashire Architects Lancashire Architects Lancashire Architects Lancashire Architects Lancashire Architects Lancashire Architects Lancashire Architects Lancashire Architects Lancashire Architects Lancashire Architects Lancashire Architects Lancashire ing Architects in Architects Plans in, Building Plans in, North West, Lancashire, Manchester, Preston, Blackburn, Wigan, Chorley, Bolton, Salford, Warrington, Leyland, Bamber Bridge, Adlington, Standish, Horwich, Darwen, Hyndburn, Accrington, Leigh, Westhoughton, Lancashire, Greater Manchester, Cheshire, Fylde Coast regions Southport, Westhoughton, Atherton, Building Plans in Worsley, Building Plans in Walkden, Architect in Manchester, Architect in Bolton, Architect in Wigan, Architect in Preston, Architect in Southport, Architect in Leigh, Building Plans in Wigan, Building Plans in Bolton and more. Find out how we can help you with home extension plans, loft conversions, internal alterations, new builds, conversions, building plans, planning permission applications or building regulation applications.Architects Lancashire, Architects Lancashire, Architects Lancashire, Architects Lancashire, Architects Lancashire, Architects Lancashire, Architects Lancashire Architects Lancashire Architects Lancashire Architects Lancashire Architects Lancashire Architects Lancashire Architects Lancashire Architects Lancashire Architects Lancashire Architects Lancashire Architects Lancashire Architects Lancashire Architects Lancashire Architects Lancashire Architects Lancashire Architects Lancashire Architects Lancashire Architects Lancashire Architects Lancashire Architects Lancashire Architects Lancashire Architects Lancashire Architects Lancashire Architects Lancashire Architectural Design services covering Architects in Architects Plans in, Building Plans in, North West, Lancashire, Manchester, Preston, Blackburn, Wigan, Chorley, Bolton, Salford, Warrington, Leyland, Bamber Bridge, Adlington, Standish, Horwich, Darwen, Hyndburn, Accrington, Leigh, Westhoughton, Lancashire, Greater Manchester, Cheshire, Fylde Coast regions Southport, Westhoughton, Atherton, Building Plans in Worsley, Building Plans in Walkden, Architect in Manchester, Architect in Bolton, Architect in Wigan, Architect in Preston, Architect in Southport, Architect in Leigh, Building Plans in Wigan, Building Plans in Bolton and more. Find out how we can help you with home extension plans, loft conversions, internal alterations, new builds, conversions, building plans, planning permission applications or building regulation applications.Architects Lancashire, Architects Lancashire, Architects Lancashire, Architects Lancashire, Architects Lancashire, Architects Lancashire, Architects Lancashire Architects Lancashire Architects Lancashire Architects Lancashire Architects Lancashire Architects Lancashire Architects Lancashire Architects Lancashire Architects Lancashire Architects Lancashire Architects Lancashire Architects Lancashire Architects Lancashire Architects Lancashire Architects Lancashire Architects Lancashire Architects Lancashire Architects Lancashire Architects Lancashire Architects Lancashire Architects Lancashire Architects Lancashire Architects Lancashire Architects Lancashire Architectural Design services covering Architects in Architects Plans in, Building Plans in, North West, Lancashire, Manchester, Preston, Blackburn, Wigan, Chorley, Bolton, Salford, Warrington, Leyland, Bamber Bridge, Adlington, Standish, Horwich, Darwen, Hyndburn, Accrington, Leigh, Westhoughton, Lancashire, Greater Manchester, Cheshire, Fylde Coast regions Southport, Westhoughton, Atherton, Building Plans in Worsley, Building Plans in Walkden, Architect in Manchester, Architect in Bolton, Architect in Wigan, Architect in Preston, Architect in Southport, Architect in Leigh, Building Plans in Wigan, Building Plans in Bolton and more. Find out how we can help you with home extension plans, loft conversions, internal alterations, new builds, conversions, building plans, planning permission applications or building regulation applications.Architects Lancashire, Architects Lancashire, Architects Lancashire, Architects Lancashire, Architects Lancashire, Architects Lancashire, Architects Lancashire Architects Lancashire Architects Lancashire Architects Lancashire Architects Lancashire Architects Lancashire Architects Lancashire Architects Lancashire Architects Lancashire Architects Lancashire Architects Lancashire Architects Lancashire Architects Lancashire Architects Lancashire Architects Lancashire Architects Lancashire Architects Lancashire Architects Lancashire Architects Lancashire Architects Lancashire Architects Lancashire Architects Lancashire Architects Lancashire Architects Lancashire Architectural Design services covering Architects in Architects Plans in, Building Plans in, North West, Lancashire, Manchester, Preston, Blackburn, Wigan, Chorley, Bolton, Salford, Warrington, Leyland, Bamber Bridge, Adlington, Standish, Horwich, Darwen, Hyndburn, Accrington, Leigh, Westhoughton, Lancashire, Greater Manchester, Cheshire, Fylde Coast regions Southport, Westhoughton, Atherton, Building Plans in Worsley, Building Plans in Walkden, Architect in Manchester, Architect in Bolton, Architect in Wigan, Architect in Preston, Architect in Southport, Architect in Leigh, Building Plans in Wigan, Building Plans in Bolton and Architects Lancashire, Architects Lancashire, Architects Lancashire, Architects Lancashire, Architects Lancashire, Architects Lancashire, Architects Lancashire Architects Lancashire Architects Lancashire Architects Lancashire Architects Lancashire Architects Lancashire Architects Lancashire Architects Lancashire Architects Lancashire Architects Lancashire Architects Lancashire Architects Lancashire Architects Lancashire Architects Lancashire Architects Lancashire Architects Lancashire Architects Lancashire Architects Lancashire Architects Lancashire Architects Lancashire Architects Lancashire Architects Lancashire Architects Lancashire Architects Lancashire more. Find out how we can help you with home extension plans, loft conversions, internal alterations, new builds, conversions, building plans, planning permission applications or building regulation applicationsitects Lancashire, Architects Lancashire, Architects Lancashire, Architects Lancashire, Architects Lancashire, Architects Lancashire, Architects Lancashire Architects Lancashire Architects Lancashire Architects Lancashire Architects Lancashire Architects Lancashire Architects Lancashire Architects Lancashire Architects Lancashire Architects Lancashire Architects Lancashire Architects Lancashire Architects Lancashire Architects Lancashire Architects Lancashire Architects Lancashire Architects Lancashire Architects Lancashire Architects Lancashire Architects Lancashire Architects Lancashire Architects Lancashire Architects Lancashire Architects Lancashire Architectural Design services covering Architects in Architects Plans in, Building Plans in, North West, Lancashire, Manchester, Preston, Blackburn, Wigan, Chorley, Bolton, Salford, Warrington, Leyland, Bamber Bridge, Adlington, Standish, Horwich, Darwen, Hyndburn, Accrington, Leigh, Westhoughton, Lancashire, Greater Manchester, Cheshire, Fylde Coast regions Southport, Westhoughton, Atherton, Building Plans in Worsley, Building Plans in Walkden, Architect in Manchester, Architect in Bolton, Architect in Wigan, Architect in Preston, Architect in Southport, Architect in Leigh, Building Plans in Wigan, Building Plans in Bolton and more. Find out how we can help you with home extension plans, loft conversions, internal alterations, new builds, conversions, building plans, planning permission applications or building regulation applications. Having gained experience over the past 17 years of designing loft conversions in houses with creative designs including ensuites, walk-in wardrobes or just bedrooms this is a popular service offered. The government, on 6th April 2006, rushed through new legislation requiring all new dwellings and many extension alterations with excessive glazing to comply with the SAP calculations but since Since October 2010 it has been a requirement that the SAP Calcs should be carried out by accredited SAP assessors. This has resulted in many Local Authorities either invalidating, rejecting or not even registering these projects until the applicant/agent has submitted Standard Assessment Procedure (SAP) calculations showing details of the Target Emission Rate (TER) versus the Dwelling Emmission Rate (DER). The Building Regulations allow extensions with a limited amount of glazing but they also allow additional glazing; providing that SAP Assessor can provide SAP Calcs. to prove that the existing house and new extension are at least as efficient as the minimum regulation standard. This allows you to have the extension you want with roof lights or extra glazing. 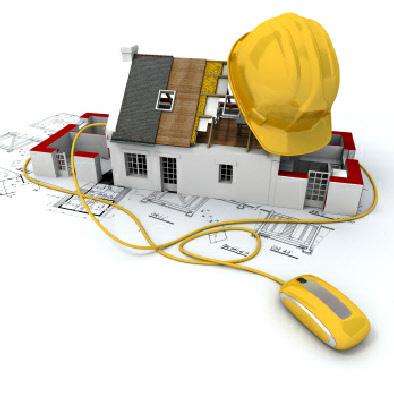 You will need a SAP assessor to produce your SAP calculations and EPC Certificate for your completed house or projects. Your certificate is lodged on the national database ‘Landmark’. All our SAP Calcs. & EPC Certificates are insurance backed and valid for ten years.